SATURDAY mornings from 9:15 – 10:15 a.m. In any setting, TAI CHI can help to refocus your energy, rejuvenate your body, and ease your mind. But to do tai chi in the fresh morning air at a cul-de-sac in Menotomy Rocks Park is an experience not to be missed! Instructor Joshua Grant is a well-known martial artist and has over 35 years of experience. He has been a member of national Tai Ji teams and been a gold medalist. He is the owner of Back Bay’s Boston Kung Fu Tai Chi Institute as well as the author of “Tai Chi for Wimps” and an instructional video series. We hope you all had the opportunity to meet the Goatscaping crew, our summer park work volunteers. We’ll be following up on the work our four “volunteers” accomplished by cutting back the woody brush that they didn’t tackle. The two work areas will be the rear perimeter of the back field and the perimeter of Centennial Grove nearest the Churchill Ave. entrance. The weather is predicted to be in the 50’s & 60’s. Please wear work gloves, long pants — and sturdy shoes/rubber boots. Loppers, saws and pruning shears would be helpful, if you have them. Once again, we’ll be “stumping” Norway Maple saplings in our on-going effort to allow other trees and understory plants access to sunlight and nutrients. This “stumping” method, cutting the tree at knee-height, allows later passers-by to easily pull off the side growth that the tree will produce, eventually killing it. This Sunday, we’ll be working on the Norway Maple saplings near the Spring Street entrance to the Park. Wear sturdy work gloves and bring saws and/or loppers for this work. And, as usual, thanks so much for your help! This weekend we’ll be focusing on Norway Maple saplings – specifically the ones bordering the upper woods trail between the Ottawa/HighHaith and the Shawnee Road entrances. Since the saplings are between 1” and 3” in diameter and fairly tall and spindly, most will have to be lopped or sawed, rather than uprooted with a weed-wrench. We’ll have a weed-wrench or two for the littler ones, but please bring a saw or loppers if you can. We’ll meet along the upper trail at 1:00. Please consider helping the Friends of Menotomy Rocks Park with their on-going efforts to remove invasive plants from the Park in order to help restore habitat for native plants and wildlife. Please wear work gloves and old clothes. Loppers and pruning shears would be helpful, maybe a saw or two. We’ll have a couple of weed wrenches & some extra tools. We’d love to have your help. When it comes to reducing the physical and mental tensions that we encounter in our daily lives, slow is the new fast! Tai Chi is meditation in motion. It is the practice of moving calmly with awareness and ease. Class work will be based on the Yang Style of Tai Chi and will include Eight Movement Form, an easy-to-learn, introductory Tai Chi set as well as the longer 24 Movement Form for those returning students. In any setting, Tai Chi can help to refocus your energy, rejuvenate your body, and ease your mind. But to do Tai Chi in the fresh morning air at Menotomy Rocks Park, with birds happily chirping all around you, is an experience not to be missed! 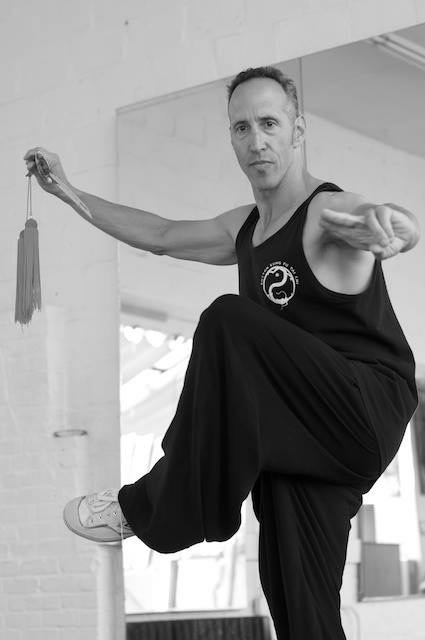 Instructor Dorri Li is a martial artist and fitness professional based in the Boston area. With over 30 years of experience, Dorri has devoted her practice to helping students of all ages feel more focused, calm and strong. Free. Join the Friends of Menotomy Rocks Park for an Earth Day Celebration! There will be family friendly activities, information about local organizations, a morning bird walk, a tai chi class, an afternoon tree walk and more! FREE. Saturday sessions are sponsored by Friends of Menotomy Rocks Park. (Participants must still pre-register at arlingtonrec.com). When it comes to reducing the physical and mental tensions that we encounter in our daily lives, slow is the new fast! Tai chi is meditation in motion. It is the practice of moving calmly with awareness and ease. 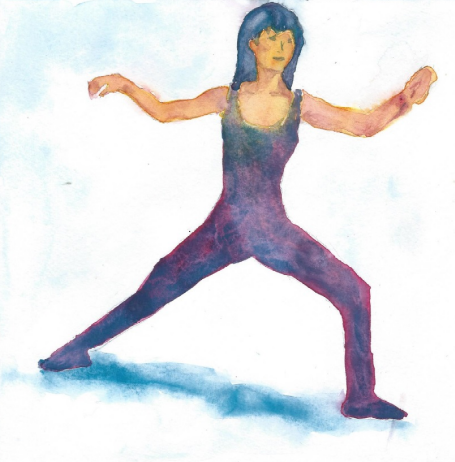 Class work will be based on the Style of Tai Chi and will include Eight Movement Form, an easy-to-learn, introductory tai chi set as well as the longer 24 Movement Form for those returning students. In any setting, tai chi can help to refocus your energy, rejuvenate your body, and ease your mind. But to do tai chi in the fresh morning air at Menotomy Rocks Park, with birds happily chirping all around you, is an experience not to be missed! Instructor Dorri Li is a martial artist and fitness professional based in the Boston area. With over 30 years of experience, Dorri has devoted her practice to helping students of all ages feel more focused, calm andstrong.